The semi-finals, which will happen tomorrow morning, will gather teams 2 vs. 5 vs. 6 and teams 3 vs. 4 vs. 7 (according to the ranks after the PF #4). 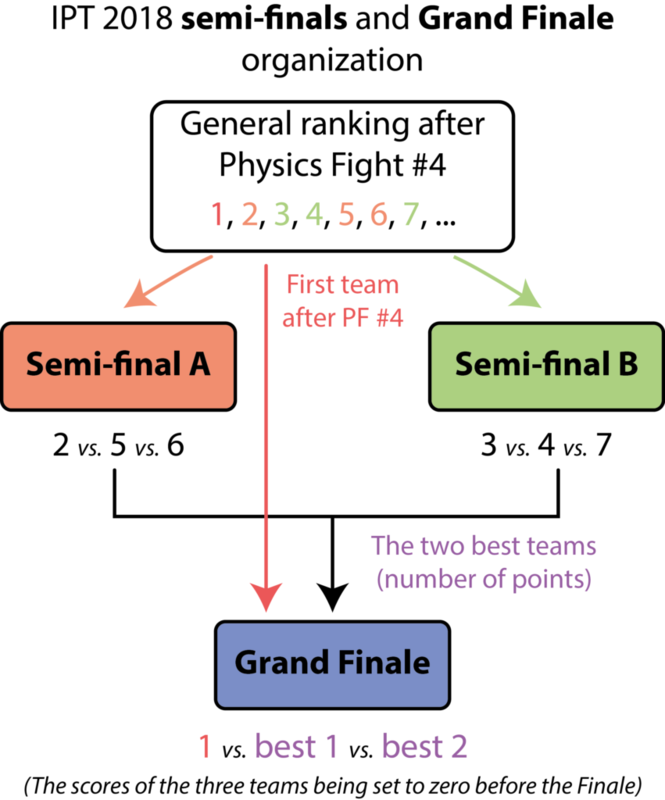 After the semi-finals, the Grand Finale, which will happen on Saturday morning and should be live streamed, will gather the first team of the general ranking after PF #4 and the two best teams of the semi-finals (according to the overall number of points in the semi-finals). Who do you think will go the the semi-finals and the finale?